At Disney, we are proud to have talented and passionate cast who strive to make magic in creative ways. 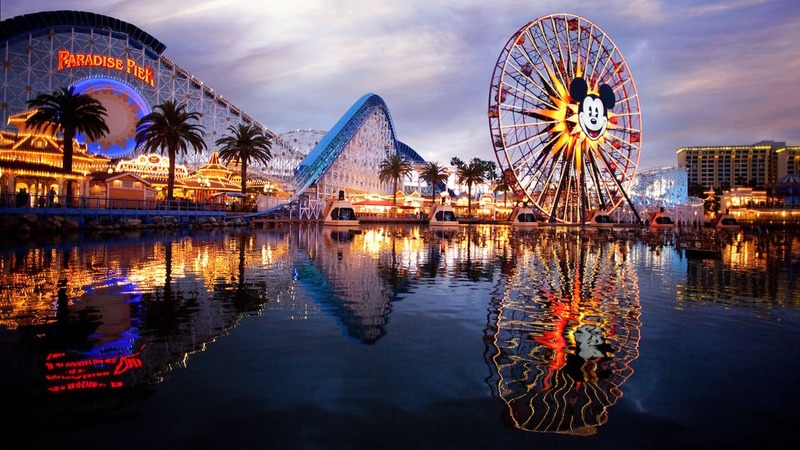 Morgan Richardson, an Imagineer with a passion for art and wildlife conservation, has worked on theme park attractions like Pandora – The World of Avatar at Disney’s Animal Kingdom and the Rivers of America at Disneyland park. How did your role as an Imagineer allow you to follow your passion and support wildlife conservation? Having worked in Disney’s Animal Kingdom, I feel very connected to the intrinsic value of nature and the stewardship of wild creatures and places- themes celebrated throughout the park. Through that project, I met other Imagineers, conservationists and animal care cast members who share my passion for wildlife and connected me to projects with the DCF. As an Imagineer, I am proud to work with amazingly talented people and work on incredible projects that truly make a difference in the world. 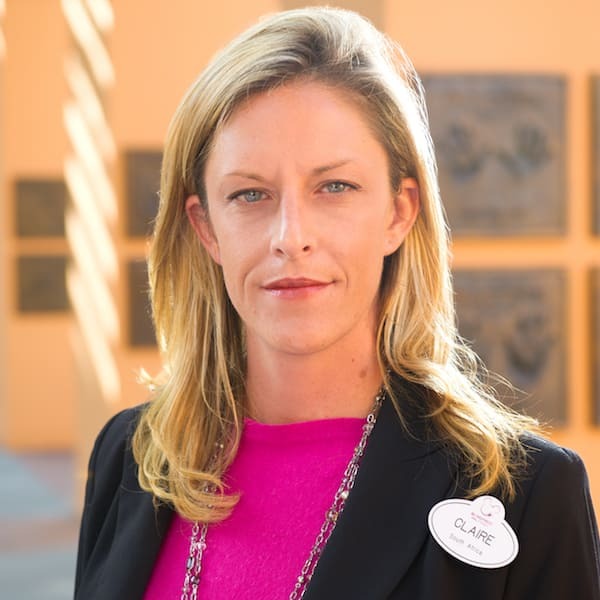 Although my primary role is to help design theme park attractions and experiences, I am thankful that the Walt Disney Company also supports my love of wildlife and allows me to support conservation through my work. What inspired you to use art to help wildlife? I was always interested in wildlife growing up. In second grade, I found a book about the extinct passenger pigeon, and it made a huge impression on me. I wanted to help prevent other species from disappearing. I started sketching endangered and extinct animals and as I got older, I looked for ways to leverage my artistic skill set to catch the attention of folks who might not initially be interested in conservation. Of the conservation projects you have supported, what has been most meaningful to you? I have worked on conservation projects all over the globe benefiting everything from pangolin to okapi, but I think my work with the International Rhino Foundation (IRF) has had the biggest impact. As part of its work to Reverse the Decline of Sumatran rhinos, Disney support recently helped IRF host a charity art show and auction in Jakarta, Indonesia, to benefit Sumatran rhino conservation. Imagineers Joe Rohde, Zsolt Hormay and I each contributed art for the show. 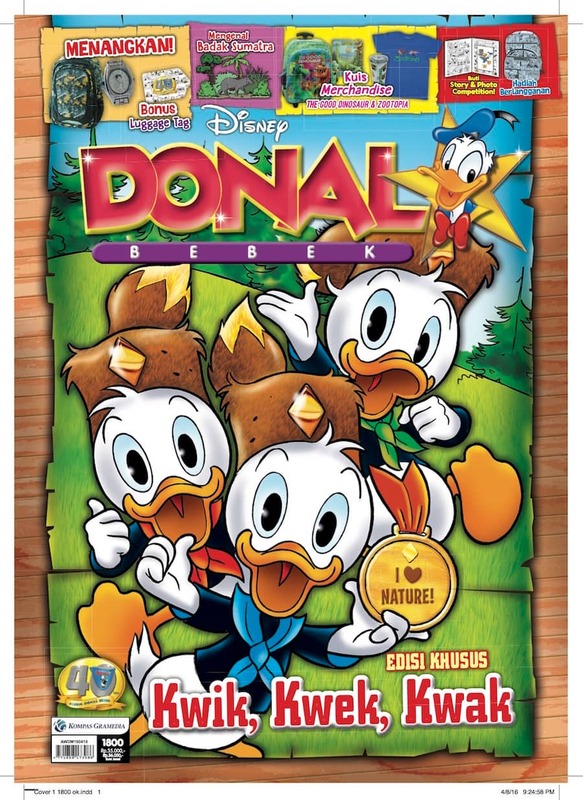 I’ve also designed Sumatran rhino and Sumatran tiger characters for Disney’s Indonesian Donald Duck comic book, Donald Bebek. 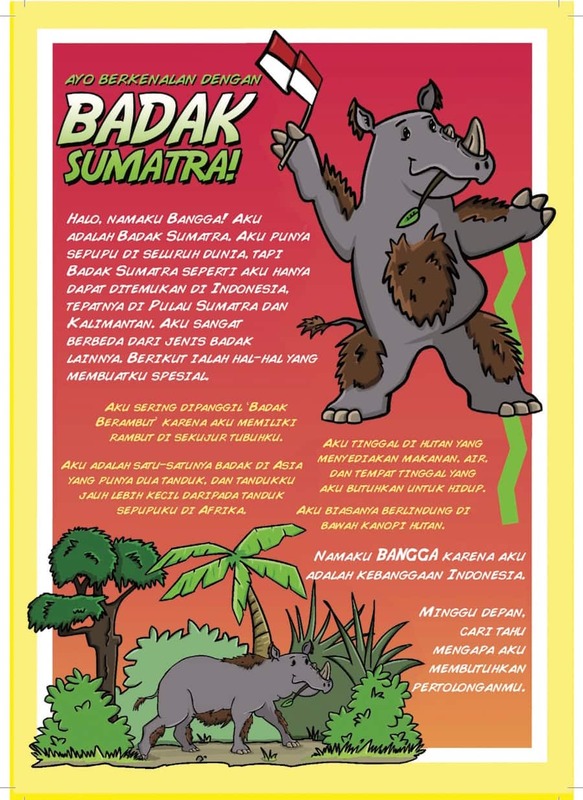 These characters are raising awareness among Indonesian communities of amazing animals that live in their own backyard and encouraging people to take pride in protecting the biodiversity of their country – I’m honored to be part of a message like that. Have you been working on anything lately to help animals? Definitely! I recently created new designs for the Disney Conservation Fund “Conservation Hero” buttons featuring two of Disney’s Reverse the Decline animals. One button celebrates the 20th anniversary of Disney’s Animal Kingdom and the first Sumatran tiger cubs to be born at the park, the second features a vibrant illustration of a sea turtle*. 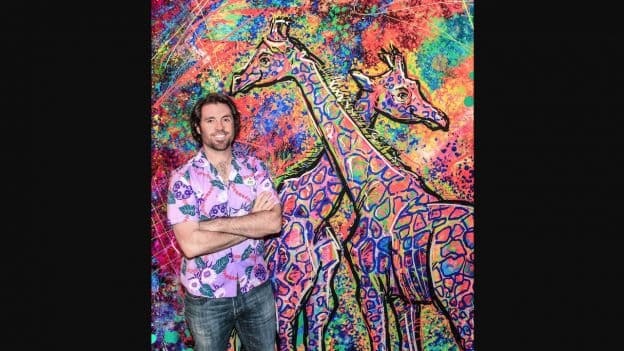 My personal work is very bold and colorful and I hope my art will inspire guests and cast members to learn more about these animals and take action to protect them. What advice would you give to others who want to get involved in wildlife conservation? You don’t need to be a conservationist or an artist to make a difference for wildlife. Utilize whatever skills come naturally to you – write a blog, raise awareness on social media… get creative! You can also make the world a better place by volunteering for conservation projects in your own community to benefit parks, mountains, oceans or wildlife where you live! *The DCF buttons will be available at select locations at the Walt Disney World Resort and aboard Disney Cruise Line. Any chance these gorgeous button art pieces will be made available as prints? 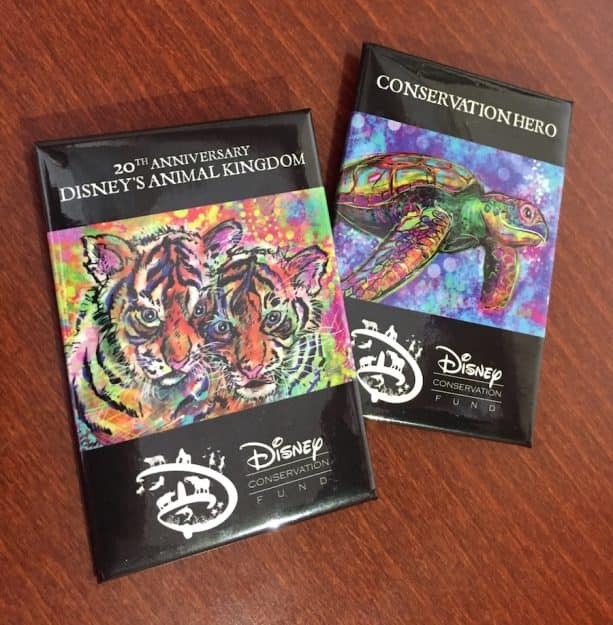 Will the Conservation Hero buttons be available on the Disney Conservation Fund website? I was just at Magic Kingdom and on a Disney cruise at the beginning of April and I didn’t see these buttons.